It is definitely not the beginning of the semester anymore. Nor is the end in sight. It is thus the perfect time for me to introduce a little trick to boost your writing productivity: the pomodoro technique. Using a timer is a great way to keep track of your writing. I have used timers for years to measure how much time I spend writing, and to minimize the amount of time I spend surfing the web or checking email. The pomodoro has turned out to be the best timer I have used. I have been using the pomodoro for about a month now, and am consistently amazed at how productive I am when I use it. In addition, I have shared this technique with several people, all of whom seem to become instant fans of it. I decided to download a pomodoro technique app to my iphone after hearing the buzz about it for a while. Two academic productivity experts I follow, ProfHacker and Gina Hiatt, recommend the pomodoro timer, and I heard a few people mention it on Twitter on Facebook. At first I thought it was just another timer, so there was no need for me to check it out. However, the pomodoro is more than a timer. It is actually a time management and productivity system. And, it is remarkably effective. Pretty, simple, right? Here is why I think the system is so effective. The pomodoro timer ticks while you are writing. I find that ticking sound to be effective at keeping me concentrated. It is like a subconscious reminder that I am supposed to be writing. Of course, my fingers are never keeping pace with the tick-tick-tick of the timer, but I can always try. There are many different theories out there about how long people can concentrate on one task. I used to think I could concentrate for 50 minutes; I have tried concentrating for 90 minutes to no avail. However, now that I am using pomodoro, I am finding 25 minutes of concentration to be optimal. I definitely can concentrate for 25 minutes. Oftentimes, I feel as if I could go longer than 25 minutes of concentration. However, I decided to try out the system and take a conscious break after 25 minutes. It turns out that, if I take a 5-minute break every 25 minutes, I actually can get in more 25-minute segments. Thus, even though I don’t always think I need the break every 25 minutes, I take it anyway, as it permits me to have longer writing endurance. Amazing. One other reason I like the pomodoro iphone app is that the app keeps track of how many pomodoros (25-minute sessions) I have done for the day. That way, I don’t have to worry about keeping track myself. I can just look at my iphone and see how many pomodoros I have completed. It may turn out that the pomodoro technique does not work for me forever. It might just be a new trick that has energized me for now. However, the effect has lasted long enough that I am confident in recommending this technique to you, especially if you feel as if you are in a writing rut and would like to get out of it. Let me know in the comments section if the pomodoro technique works for you. little miss muffin: Good luck with it! kayla: cool. the 'pomodoro lite' from rapidrabbit is the same free app i downloaded. i have thought of trying the paid version, tho i can't see the advantage of it. Thanks for this tip! I hadn't though of using my iphone to help with my timing, but it's been great. 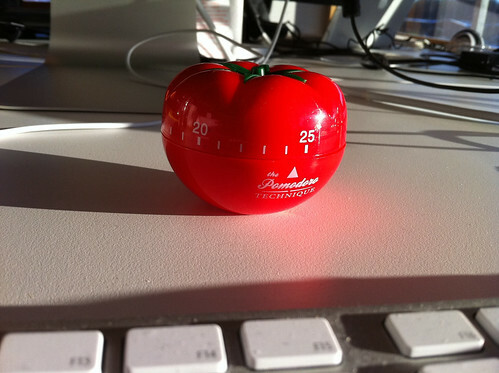 I've used the pomodoro before, but not a lot. For the past two days, however, it's been much better than my usual 15 min sessions. I had the lite one you mention, but it crashed a couple of times, so I went looking for a better one, open to paying a bit for it. After doing some research, I chose the Pomodoro Pro from Peer assembly, and I wanted to share it here because it's great. You can turn the ticking on and off and choose different ticking sounds (I prefer "travel alarm"). Also, it TRACKS your sessions, produces a graph, and can email your history, which is awesome. It costs $2.99. Thanks for sharing! I've been using the Pomodoro technique for over a month and it's amazing how much it has increased my productivity. I've shared it with friends and it's catching on. Google Chrome also has two apps you can install in your browser. If you download the Strict Chromodoro, the site will block distracting sites (e.g., Facebook) until your next five minute break. Genius! nice technique, works for me. Do you guys know that there is a RPG-GAME based on pomodoro technique called Pomodorium. Where you have character and get a 'gold' for every pomodori :D.
One thing I keep learning from reading sites like this, with tips like these, is that we were really clever in college. We'd do this for all sorts of things - FL study, math problem sets, science textbook absorption, writing - although just by glancing at clock, not by setting a bell. Or also, by designating one person to be the clock watcher and clap hands after 25 minutes, then lead stretching exercises like a JAL air hostess. I really vouch for it and tickled that it's now codified into Pomodoro. just found this post today & DL'd a timer app to give it a try. imagine my surprise when i got everything done on my list (including lots of productive work on a book proposal) despite interruptions and m usual web surfing. i even closed my email and was able to ignore it in 25 minute increments. thanks for sharing this ! 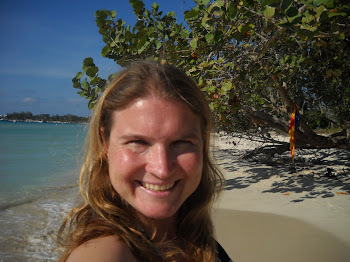 Great time management tips Tanya, thank you for sharing this with us. With these tips I'm sure that it will help boost productivity. At work I also manage time efficiently, first I list my entire tasks and organize it depends on priority level. I actually automate it, with the help of a time management tool that tracks time accurately on different tasks. Using this tool I also set an estimated amount of time when working on each task that I eagerly follow. The key to follow my schedule on working on each task and finish it on time is discipline. With discipline you can easily ignore distractions while working. This is how I manage time at work with discipline and the right tools I would say that I am more productive. I have also started using pomodoros recently for academic work - i tried it in the past and it didnt work so well but now I have a phone app it is perfect. As you mention a particularly useful aspect is that afterwards I have a record of how much time I have spent on a task. When I simpy write down how much time I have spent on something at the end of the day it is not very useful as it doesnt really tell me anything but the pomodoro collects all the different bits of time I spend- for example reviewing an article. it is helping me have a much more realistic understanding of how to plan my time. This is awesome... I always find when I give a time limit I am way more productive. I'm getting the app! Tips to stay focused and increase productivity are always welcomed in my world. This helps with keeping that 40-hour work week realistic. Thanks, Tanya! Interesting, instead how about using a time clock software to track time automatically? Especially the one which is on cloud. Hi, I began using a timer years ago when I took piano lessons and hated to practice. This technique really works for me!